Great shot with craftsman showing their capabilities. I like the texture and repeating lines. Texture is what I was after with this. Nice detail in the door shot, Jefe. All hand-carved it looks like after they glued it up originally and quite old it would seem. Lovely to see. What a gorgeous door. Well done. 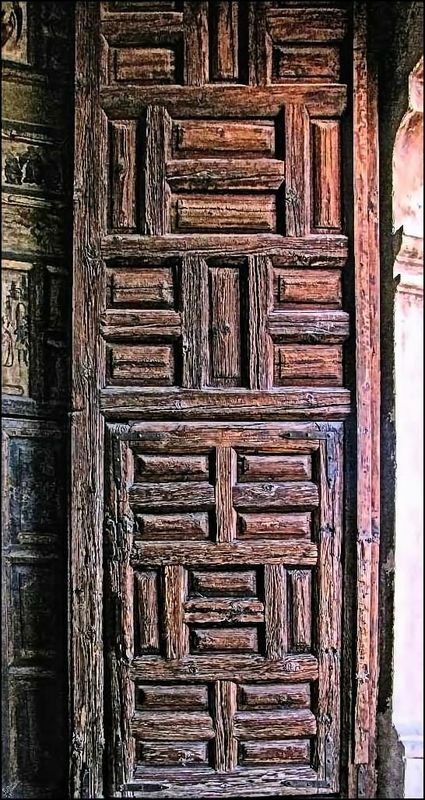 It is a beautiful door...love the shot.